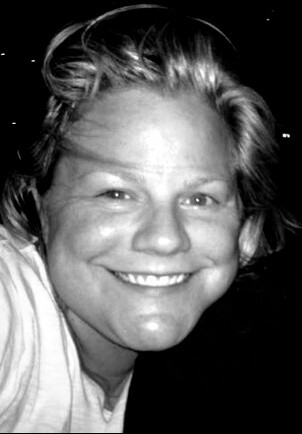 Elizabeth “Barrie” Barrett Smith Copeland, 38, of Lake Wylie, SC, passed away from complications from pneumonia on Tuesday, February 5, 2019 at home. Memorial service will be 2:00 p.m. Saturday, February 9, 2019 at M. L. Ford & Sons Funeral Home, 4820 Charlotte Highway, Lake Wylie, SC. The family will receive friends 1 hour before the service. Barrie was born May 11, 1980 in San Antonio, TX and moved to South Carolina in 1988 by way of Ocala, FL where she developed a love of horses, especially the Morgan horse. She graduated from Clover High School and attended Winthrop University and York Tech. Barrie’s love for her family and friends shines through the smiles of her beautiful children, Piper and Blu. Survivors are her daughters Piper Copeland & Blu Porter; parents Barrett & Beckie Smith all of Lake Wylie, SC; uncles Thomas Robertson of Goldsboro, NC, Don Robertson of Ruston, LA; and several nieces & nephews. In lieu of flowers, memorials may be made to Stirrups’n Strides Therapeutic Riding Center, 4246 West Highway 318, Citra, FL 32113.